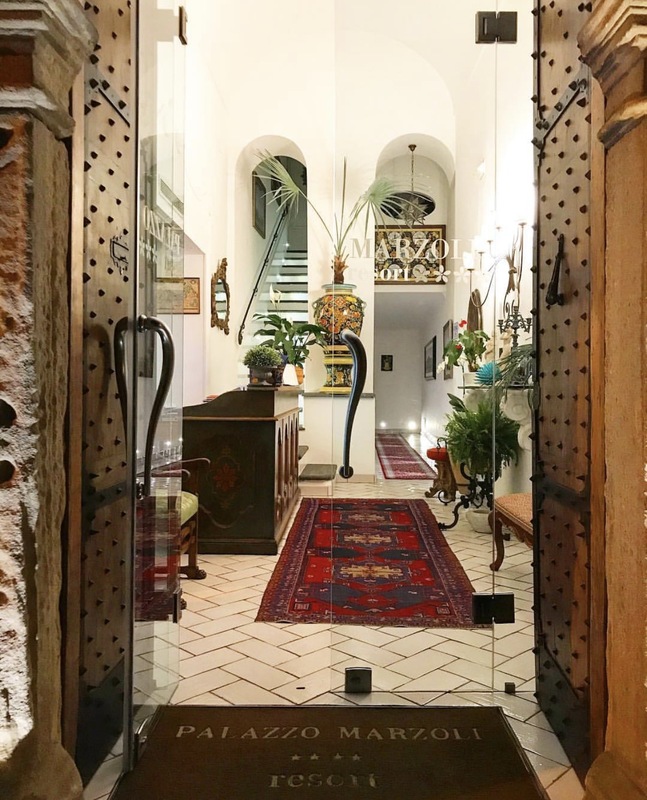 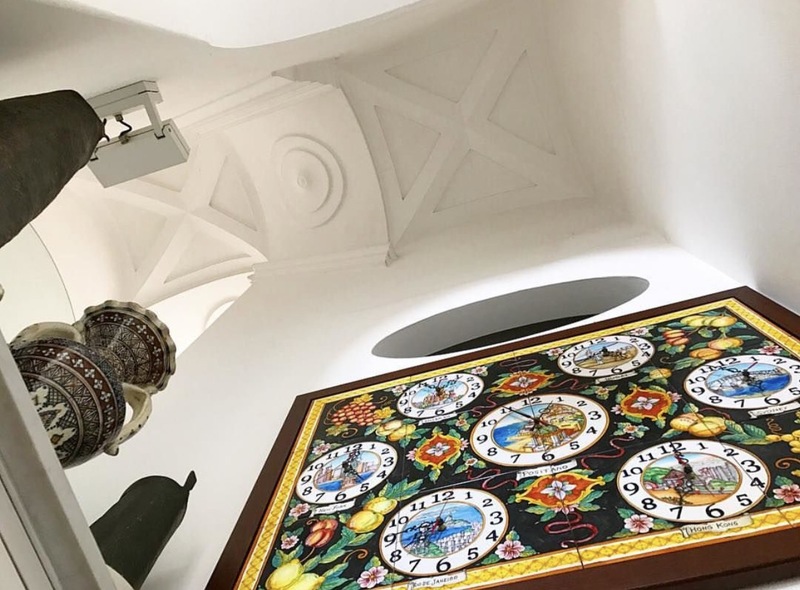 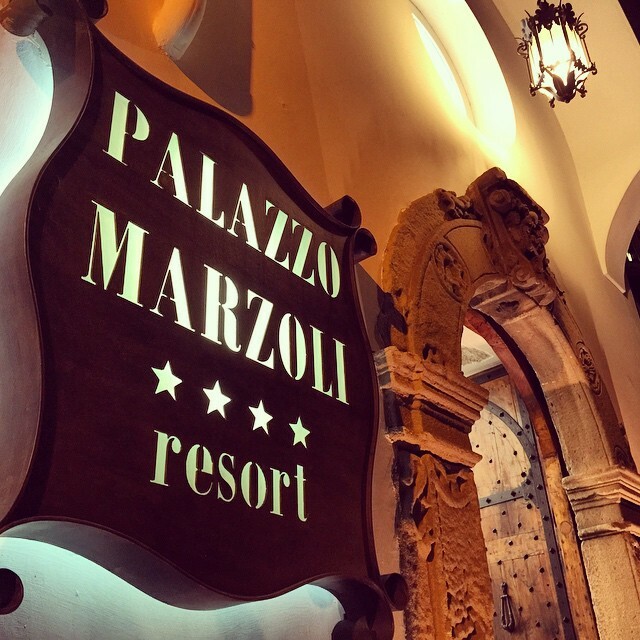 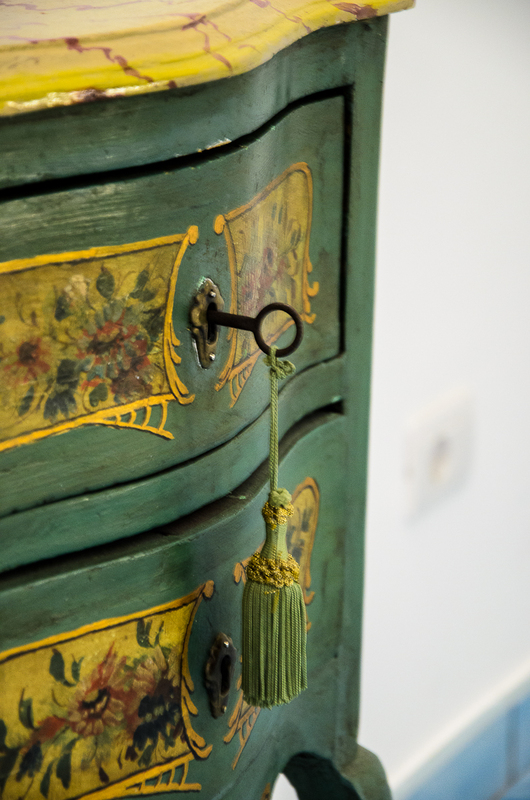 The elegant Boutique Resort Palazzo Marzoli is an ancient historical home, dating back to the end of 1600, with intimate and cosy atmospheres. 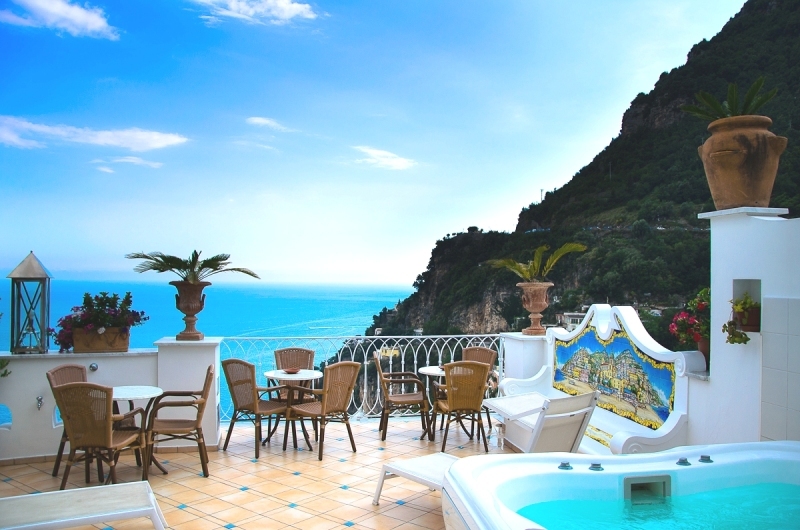 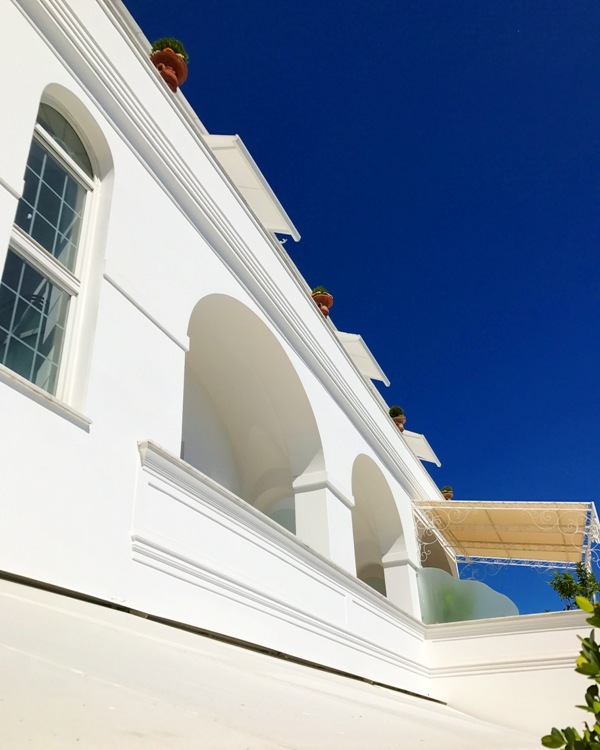 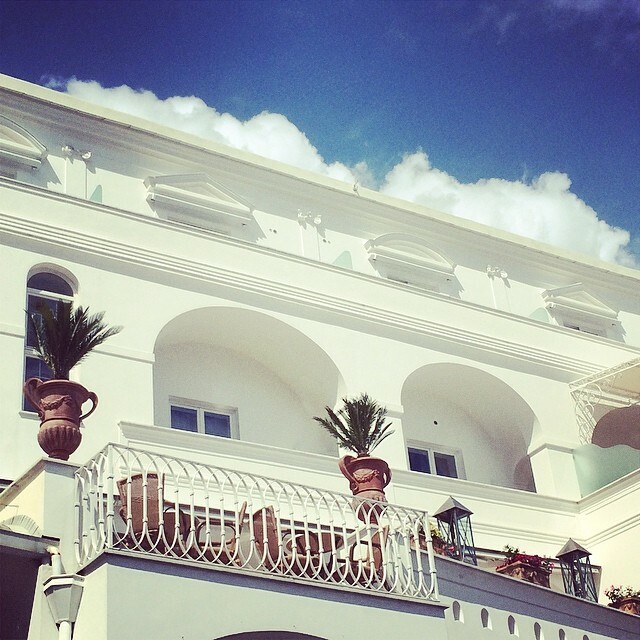 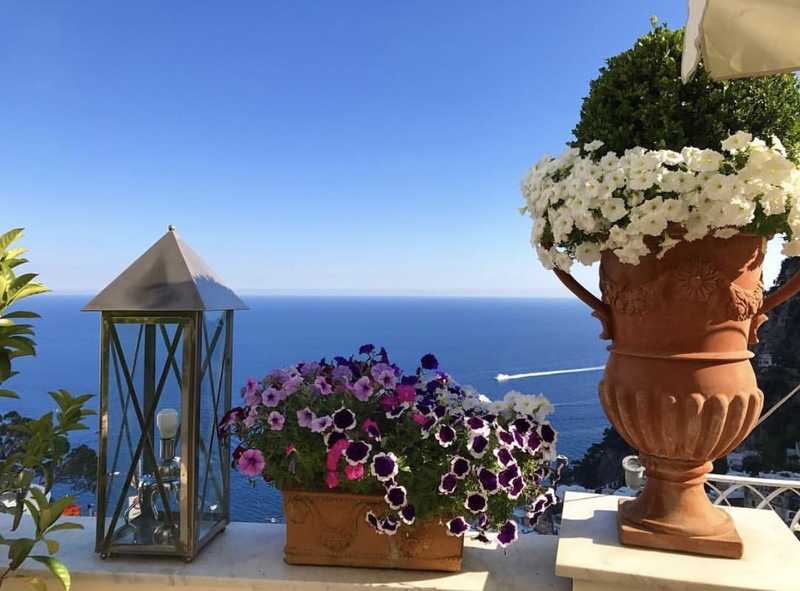 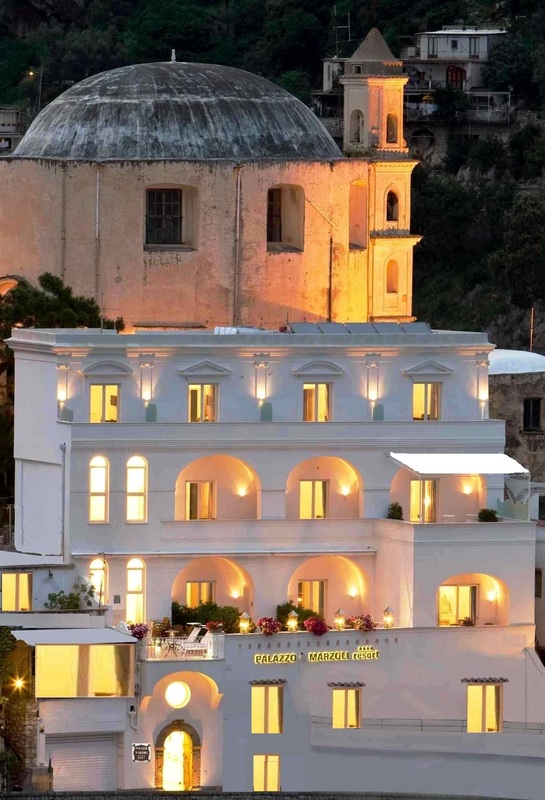 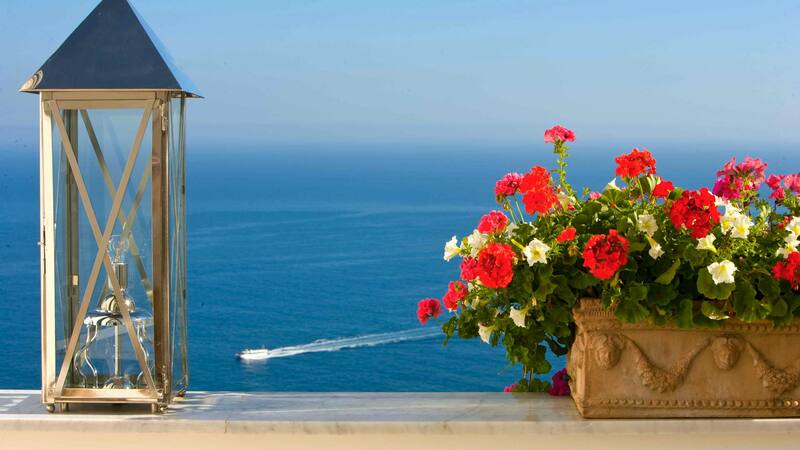 A charm Resort, an alternative solution to the classic Hotels of Positano, representing a perfect synthesis among luxury, technology and elegance. 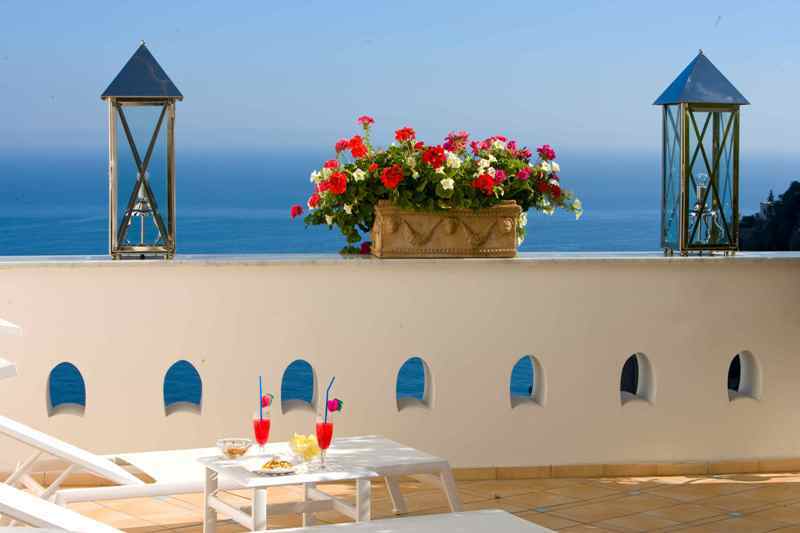 Large bright rooms with sea-view. 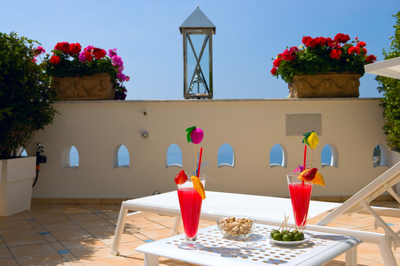 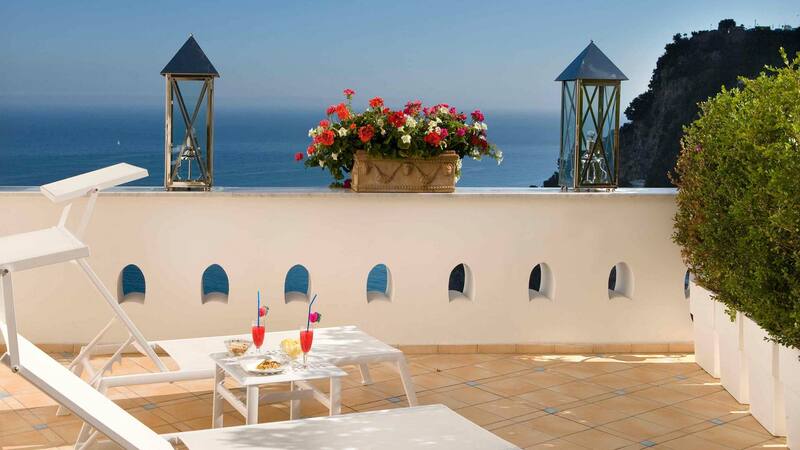 The Breakfast is served in rooms to all guests, where they can enjoy the beautiful and large terraces of the Resort. 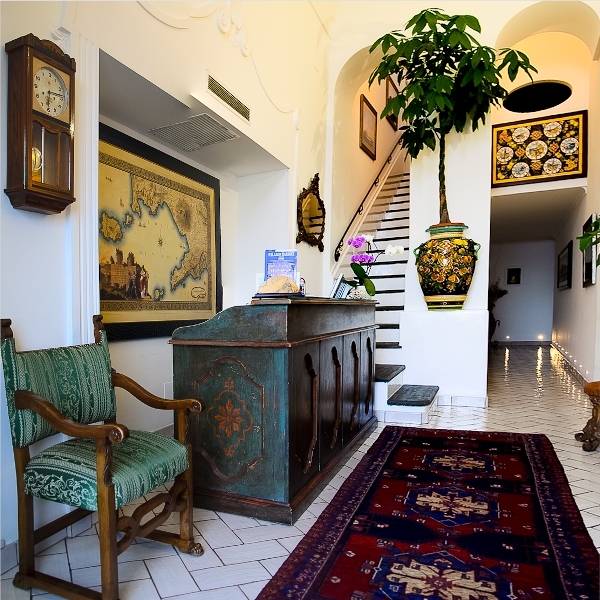 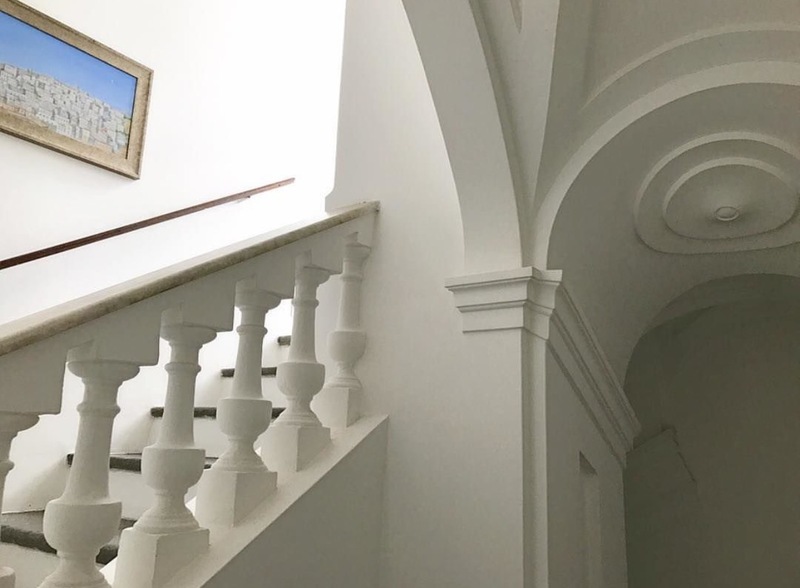 The Resort, in the heart of Amalfi Coast, is furnished with taste and care for details: the whiteness of the walls and the blue of the Vietri ceramics and of the pieces of furniture are dominant.Completely renovated in the full respect of its original architecture, as testified by the capitals of the façade and the time portal, the Resort Palazzo Marzoli is the ideal location to spend a dream holiday in Amalfi Coast. 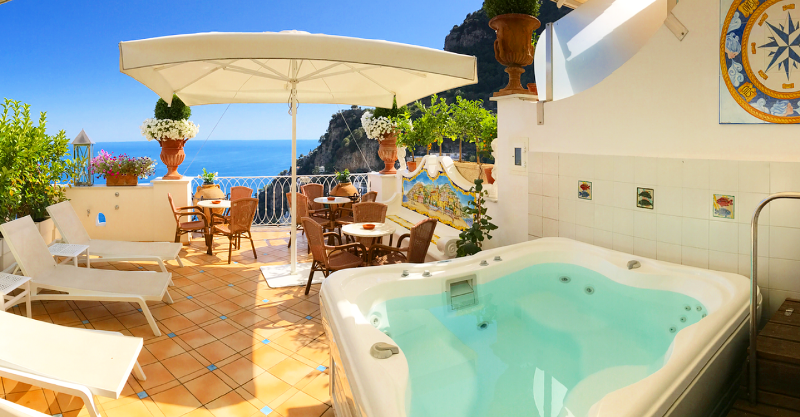 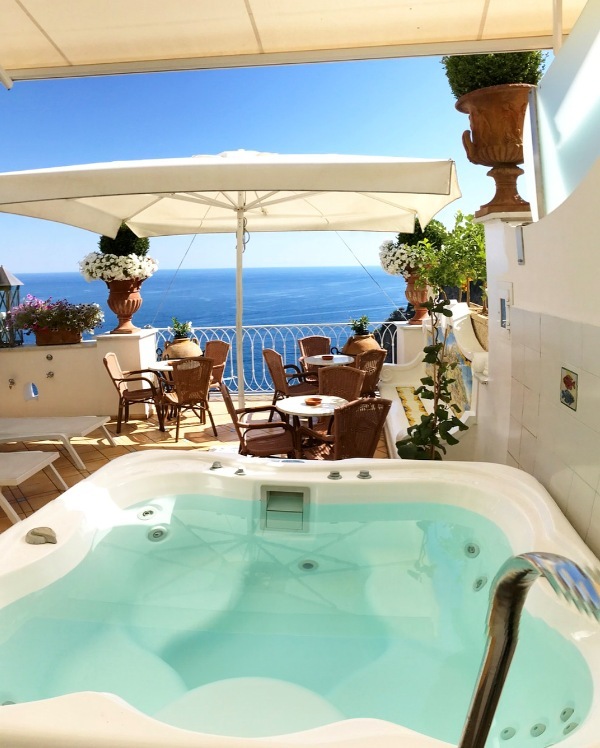 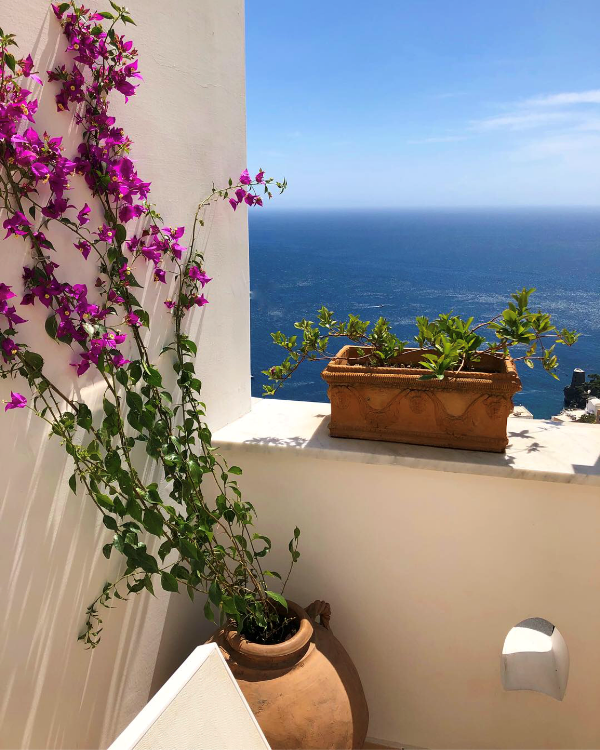 Equipped with any comfort, the cosy Positano Relais offers, to its guests, a small oasis where to take care of oneself and dedicate to the wellness of body and senses: a Solarium with sea-view, sunbeds and hydromassage tub “Jacuzzi” where to enjoy total relaxation.